The Intel Core i7-7700k is part of the seventh generation of Intel Core i7 processors. Thanks to its four-core, eight-threaded design, the processor is designed to run constantly under a heavy workload. The i7-7700k features a base clock speed of 4.2 GHz and a maximum turbo speed of 4.5 GHz. The 8 MB of SmartCache RAM makes memory access fast and efficient. This processor supports the full suite of Intel's advanced security and energy efficiency features. Good product is hot out of the box when over clock. Becomes much cooler after a delid. After a delid and used some thermal grizzly liquid metal. Temps went on stock 4.2ghz in bios from 36-38c to 23-25c Because of delid i was able to achieve a 5ghz overlock with a 240mm liquid cooler. A capable go between for the 6 and 8 series. This is an all around amazing Processor. The only thing about it is that it does run hotter then the i7 6700 by quite a bit. But the temperatures are normal for this processor. 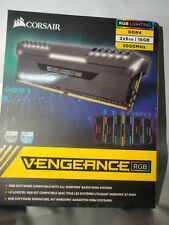 I would recommend any computer enthusiast this product. . Able to reach 5.3Ghz and stays nice and cool I love it! A very good upgrade after gifting a PC with my Pentium G4600 to Grandparents as a thank you for letting me come sped time with them from so far away!